HILO, Hawaiʻi - People packed the room at the Grand Naniloa Resort to hear about the proposed Pacific Spaceport Complex-Hawaii and the environmental assessment process. (BIVN) – An informational meeting was held Wednesday evening in Hilo to introduce the public to a new spaceport proposal. 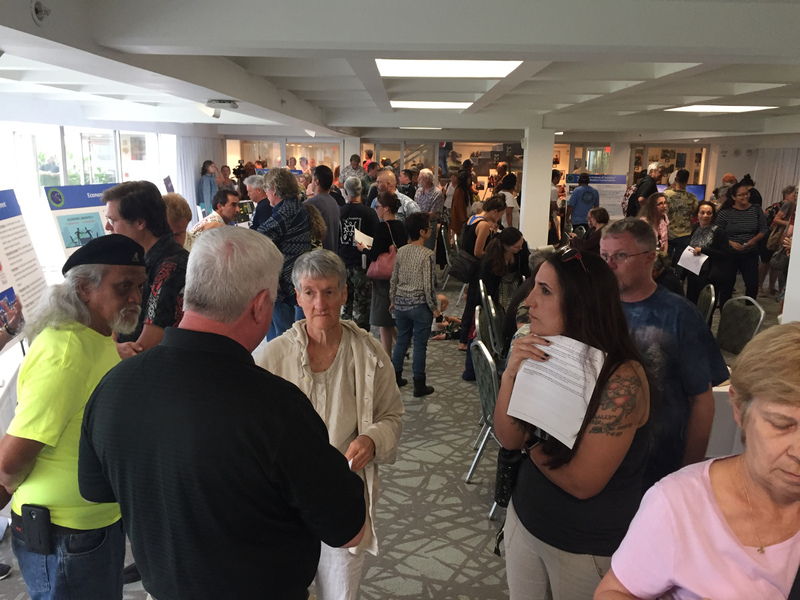 A crowd of interested residents overflowed the Grand Naniloa Resort space, where display easels lined the room and consultants answered questions. Some attendees wrote their comments down on paper, others expressed their opposition directly to the project executives, while others sang songs of resistance. After that, a draft Environmental Assessment will be prepared, and an opportunity for public comment.